Magazine Monday's will return next week, until then, join me down at the farm. 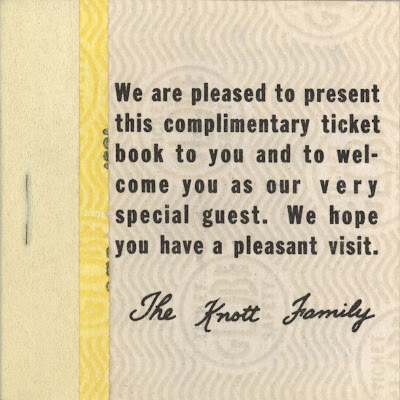 From August 1981 here's a great Knott's Berry Farm Complimentary Ticket Book - never used. The Knott Family welcomes you to the farm. The back of the book makes it clear this is a Complimentary Ticket Book. After you've gone thru the main gates, you get a bunch of these so you can enjoy "Where the West turns Wild"
Nice vivid grey Globe Safety Paper. Undated - anyone want to take a guess as to a year? I think I see some construction near the Frontierland Train Station? From May 15 1977, your guess is as good as mine! 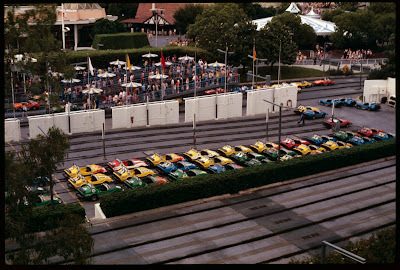 A couple fun slides of Walt Disney World's Gran Prix from April 1982. They sure have a lot of cars! I wonder what's going on with the car on its own stand over on the left along the wall? 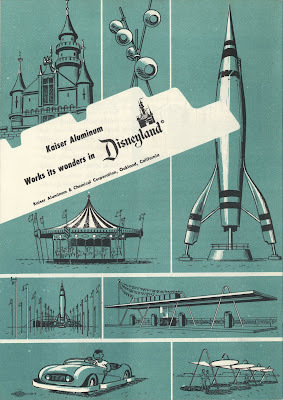 Looking way back into Vintage Disneyland Tickets, this ticket book is from late 1955 and is ultra rare and its not mine. Thanks "SD" for yet another amazing scan! I believe the "X" in the serial number is what designates this as a "Courtesy Guest" book. 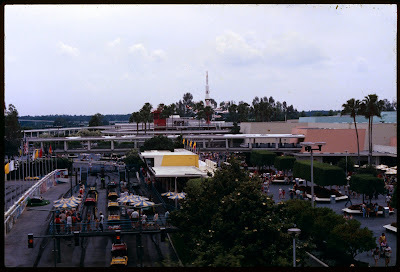 Here's a nice set of three snapshots taken in June/July 1959. These little square photos held up pretty well for being 50 years old! Wow, check out all those late '50's fashions! 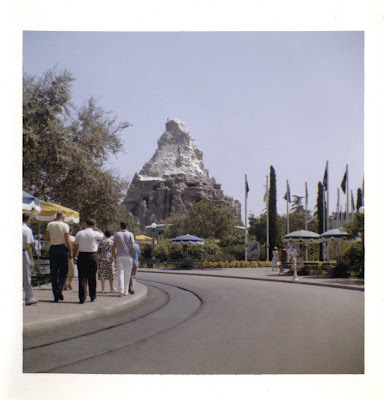 This Matterhorn image is not from the same set, its two years later - July 1961, still looks pretty new. 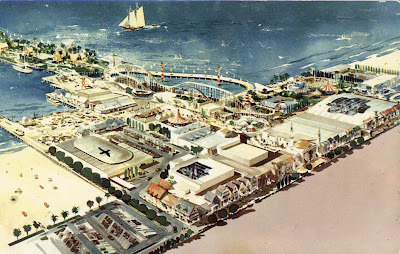 Hand dated as September 1958, POP sure looks fun in this artist rendition. I really like that big sail boat even if it is a little close to the pier. 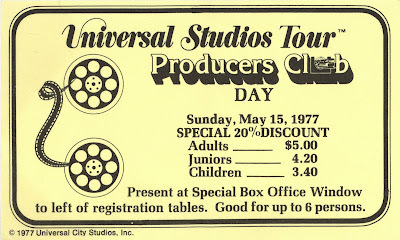 Not sure what this May 14, 1977 Sneak Preview Days at Knott's Berry Farm ticket is for, but this ticket sure promised a good time. Unlimited rides and some bargain food! 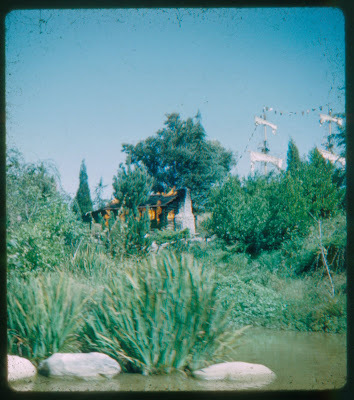 From an old stereo slide dated April 1962, boy did that cabin used to blaze! Staying with the end of summer "lose end" posts, this "Bus" parking ticket is pretty rare and not from my collection, but its cool to look at anyway. 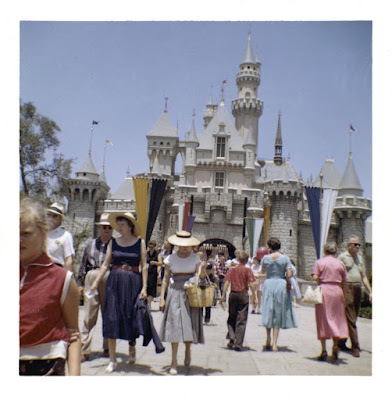 I thought the phenomenon of dressing your kids in the same colored clothes was something relatively new at Disneyland... 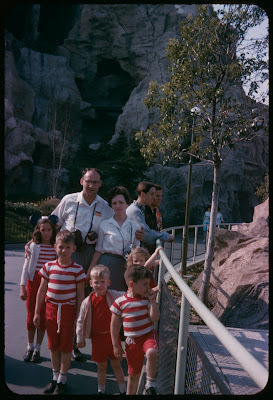 Apparently not as this May 1964 slide shows all the kids dressed in red & white. Cute family, but boy does the dad look familiar to me. Are other photos from this set posted on another blog? Who is this guy and why is he haunting my dreams?? Did you notice the vintage fence, I sure did! I have no idea what this is for or about? Anyone???? For the next two weeks expect some odd and “lose ends” posts as I try to catch up on some older stuff that needs some attention. 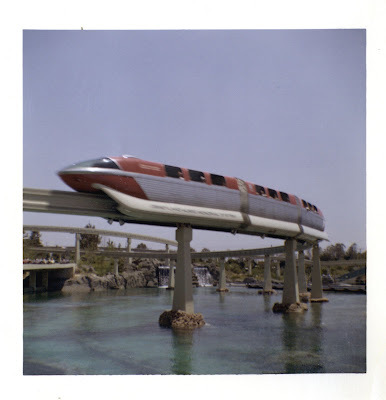 Today’s post in dedicated to Jason over at Disneyland Nomenclature. While most of us will find this post as exciting as watching paint dry, Jason should find it fascinating. 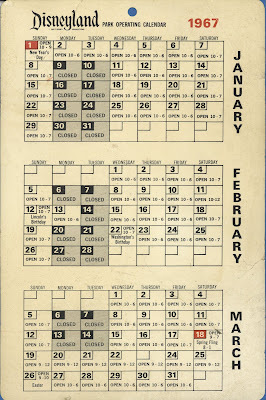 These are large size park operating calendar sheets, with each side showing 3 months of the year. I don’t know if these were for Magic Kingdom Club Members, general public or ? 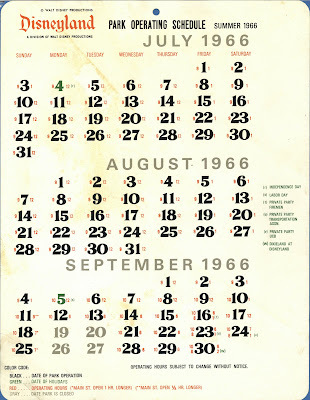 The first calendar has all the events listed off to the side and the daily hours next to each date. 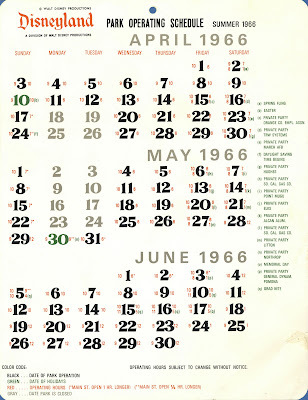 The second calendar shows the events on each individual date. 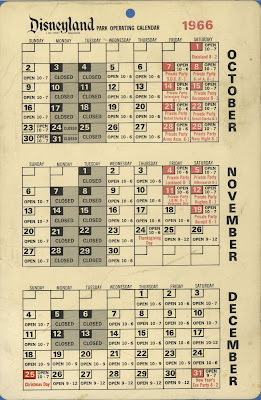 This particular calendar kind of gives me the goose bumps as it lists December 15, 1966 as open 10 – 6, that had to be the saddest day ever at Disneyland. Welcome to Magazine Monday. Oh, wait a minute, there is no Magazine Monday today. Magazine Mondays will return in September and should last into the holiday season. 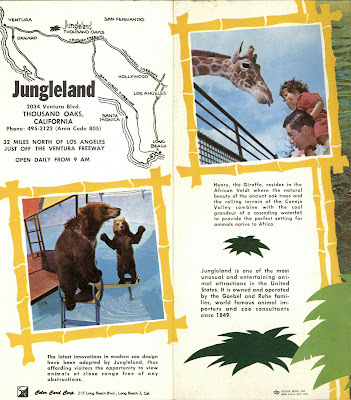 For today were heading way north of the kingdom to Thousand Oaks California and Jungleland! Long gone and mostly forgotten, this was once the home to all kinds of fun and exotic (?) animals. 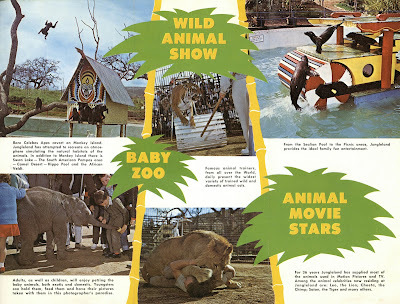 Please see the posts Major has (link) on Jungleland, not only does he have rare photos, but he has a few memories of the place too! Is it just me or do these pictures look nicer than the actual tourist pictures on Majors blog. Jungleland closed a long time ago, but I clearly remember the property in the '70’s and early ‘80’s, parts of it were still there, it was very lush and mysterious. The land now hosts a big civic arts theater and some very nice grounds. Welcome to Bonus Sunday. 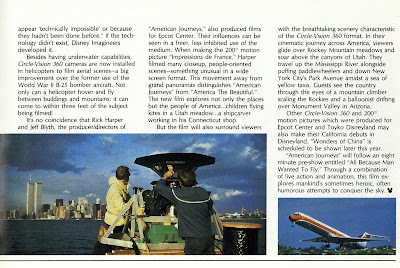 From Friday's 1984 post, here is the entire Summer 1984 Vacationland Magazine. 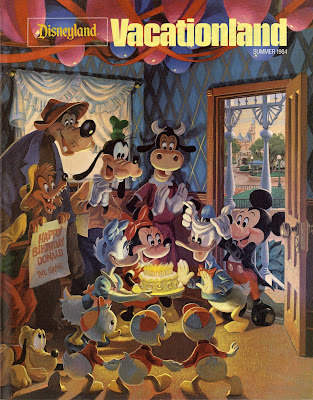 Summer 1984 is the last published issue of "Vacationland", don't worry, I've got plenty of old ones to post still! 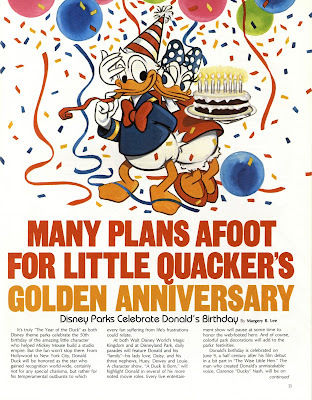 Read all about Donald's 50th Birthday! 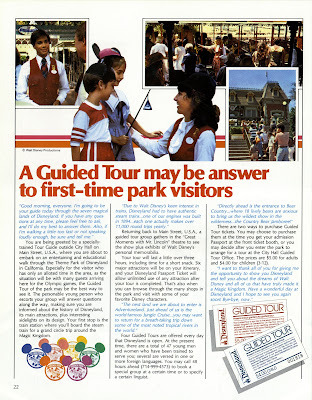 It’s time for another look at a Disneyland Guided Tour ticket. 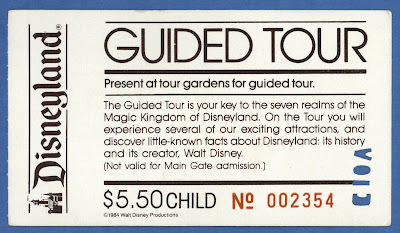 Today’s Guided Tour ticket is from 1984, this Child ticket cost $5.50 and does not include park admission. Early Guided Tour tickets included Main Gate admission and a ticket or two for an attraction other than those on the tour. From the Summer of 1984, I believe this is the final edition of Vacationland. I’m not 100% certain this is the last issue, but I have not seen a newer edition. Happy 50th Donald! How about a Guided Tour? I want one of those "Mickey Ear" tour tags! 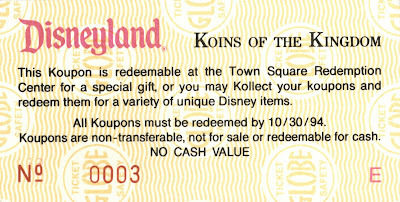 Notice the Child ticket in my post above from 1984 is $5.50 and the one in the magazine is $4.00, that’s because my ticket is not for Magic Kingdom Club members. Nice discount! “PSA joins Disney Family”. How many folks remember “American Journeys”, I sure do. 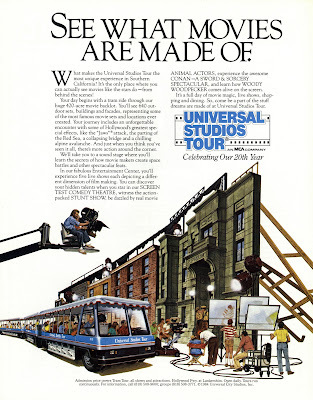 Thinking back on this attraction, I don’t recall it ever being “empty” as in “Honey I have no Audience”. 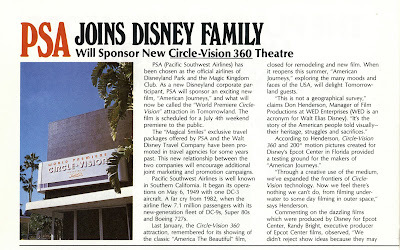 They should bring back Circle-Vision 360 and do it in 3-D or smell-o-vision or something cool. Boot out that Buzz Light-year thing, it belongs at over at DCA or give it to Six Flags, they'll take it. “A Wrather Property” for a few more years. The black & white artwork on this ad is great. 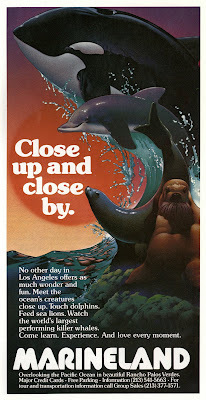 The artwork on this Marineland ad is weird and seems old by 1984, in fact, so did Marineland. Universal Studios had some cool artwork too! Come back on Bonus Sunday for the entire issue. 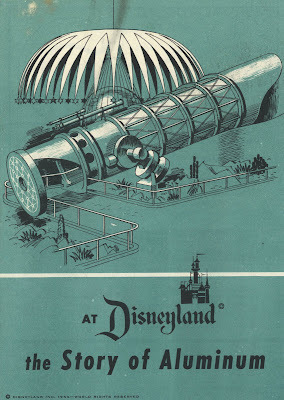 Nice early artwork on the back cover, I see some vintage fence at the Autopia structure. 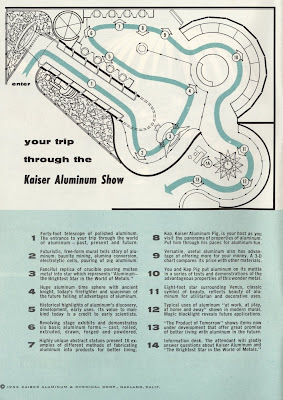 Inside of the front cover is a nice layout of the “Kaiser Aluminum Show”. See Daveland's blog for a super interior shot, including the pig (link). For number 1 you can look into the Giant Polished Aluminum Telescope here (link). 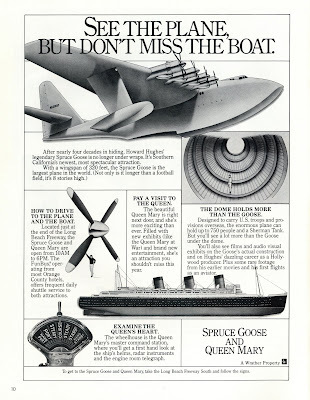 Number 4, the “Huge Aluminum Time Sphere” can also be seen on Major’s Blog (link). 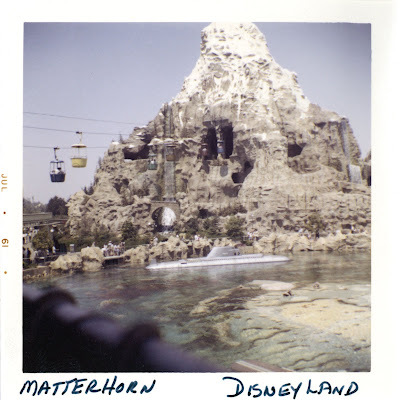 Number 11, the “Eight foot Aluminum Star surrounding Venus” can be seen over at Matterhorn’s blog (link). For an education show, it sure looked fun! 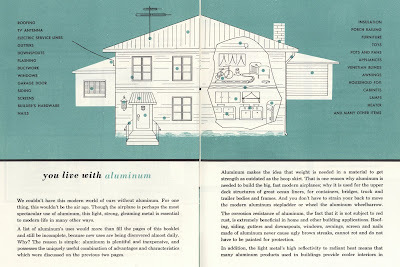 “You live with aluminum. We wouldn’t have this modern world without aluminum”. This sure reminds me of how Zinc Oxide is in our everyday life (link). 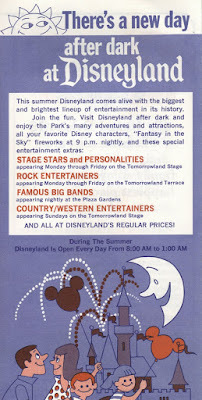 This summer 1971 parking lot flyer offers you two wonderful ways to enjoy Disneyland’s Summer of 100 Million Smiles! 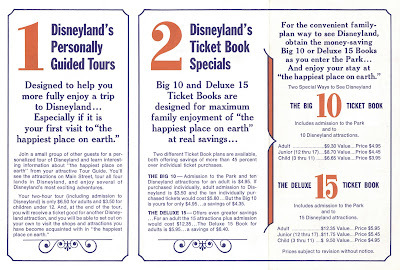 There are really three wonderful ways to enjoy Disneyland in 1971: A personally guided tour, Big 10 ticket book or Deluxe 15 ticket book. There’s a new day After Dark at Disneyland. Super fun drawing below, I dig the balloons and the Moon guy. Looks like we parked in section “F”. 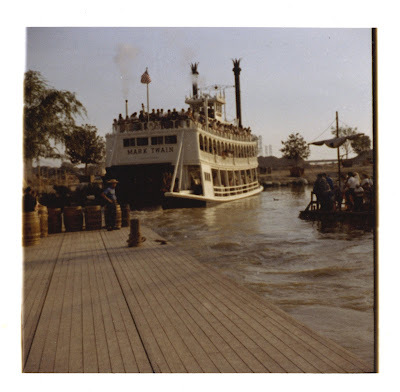 Fun things to do after your visit, was Knott’s open after “after dark”? We’d (WED?) 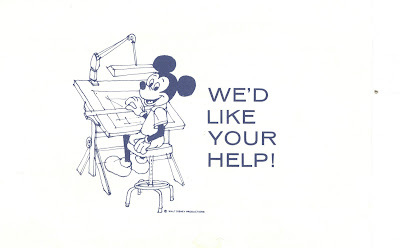 like your help! 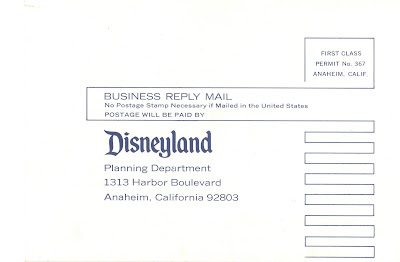 Surveys are nothing new at Disneyland. 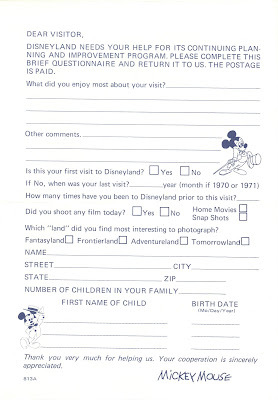 I prefer this type of survey versus the cast members wearing a computer that approach you as you enter the main gate these days. This receipt for the Character Corner has faded to almost blank. I was able to revive it somewhat, although the color is way off. 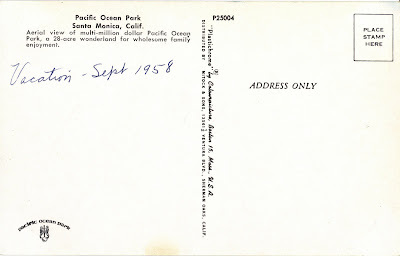 I wonder what kind of goodies they bought on June 25th, 1971?